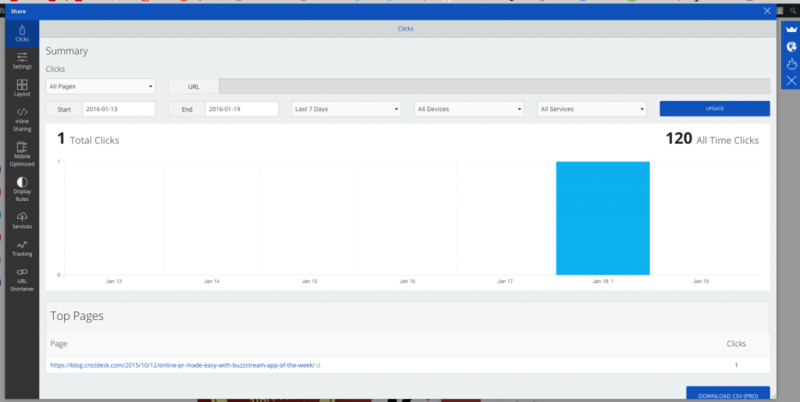 Each week we feature an app that has caught the attention of the Crozdesk community. We look for exciting features that make our lives easier, apps that take a radical approach to existing problems or a service that has everyone talking about it. In other words, apps that we think you should know about. 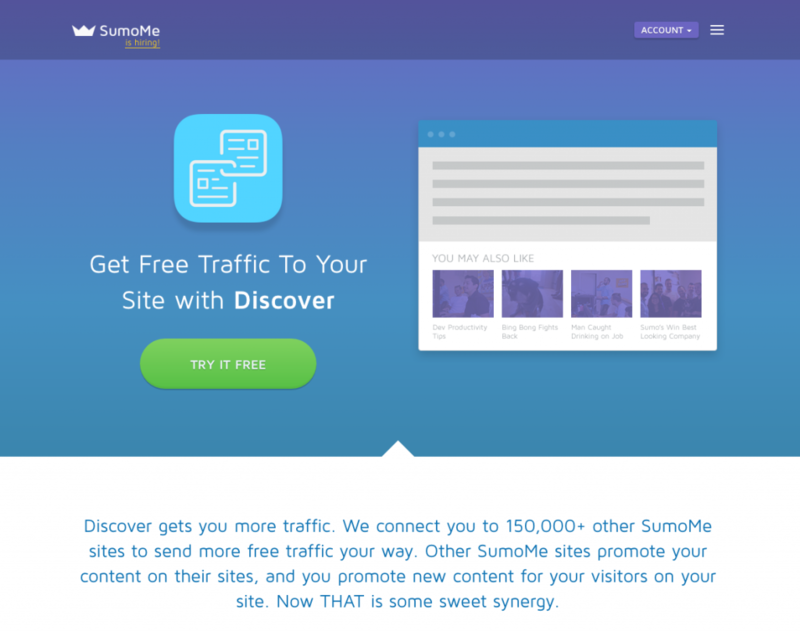 This week’s featured app is SumoMe – an innovative solution from the makers of AppSumo, offering subscribers a suite of tools designed to grow web traffic through site optimisation and analysis. 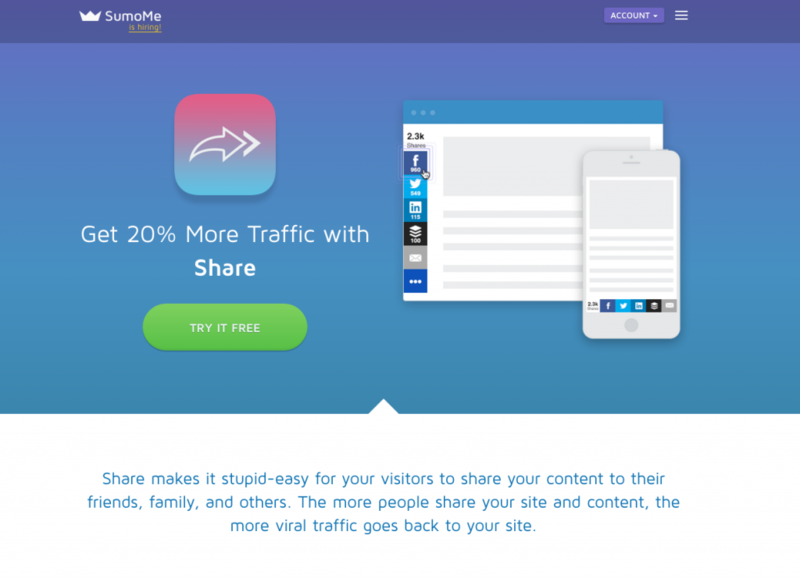 Designed by the makers of innovative online deals platform, AppSumo, SumoMe offers an impressive range of tools designed to boost web traffic, increase content sharing and improve visitor engagement. Initial set up of SumoMe requires the addition of a line of code to the HTML of a site, once complete, SumoMe can accessed from within the website itself and its various features can be activated and customised from here. 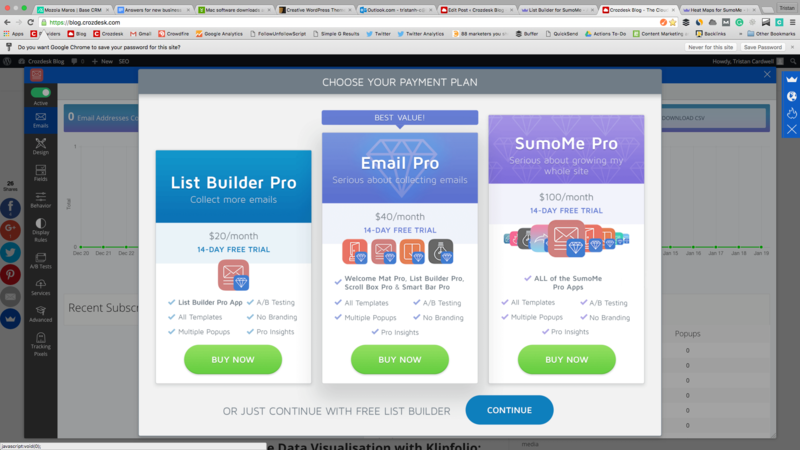 SumoMe offers an impressive range of tools, these include List Builder – designed to turn visitors into email list subscribers; content analysis tools and a contact form feature, enabling SumoMe subscribers to easily implement contact form functionality on their website. 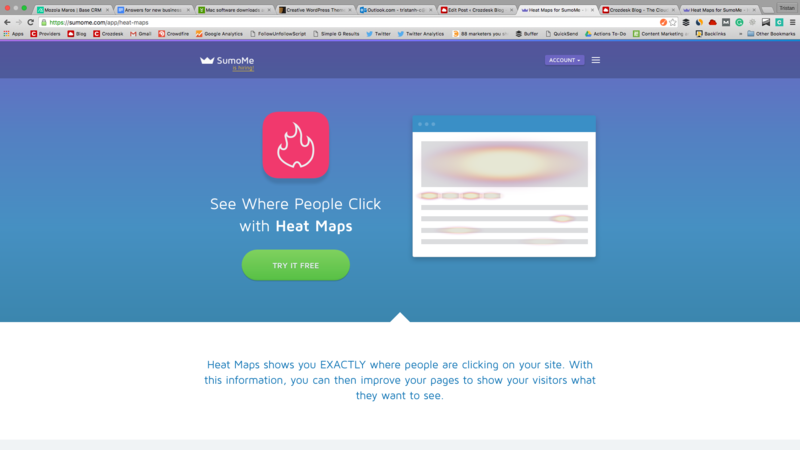 In addition to these, SumoMe offers four particularly useful features: Share; Heatmaps; Listbuilder and Discover. 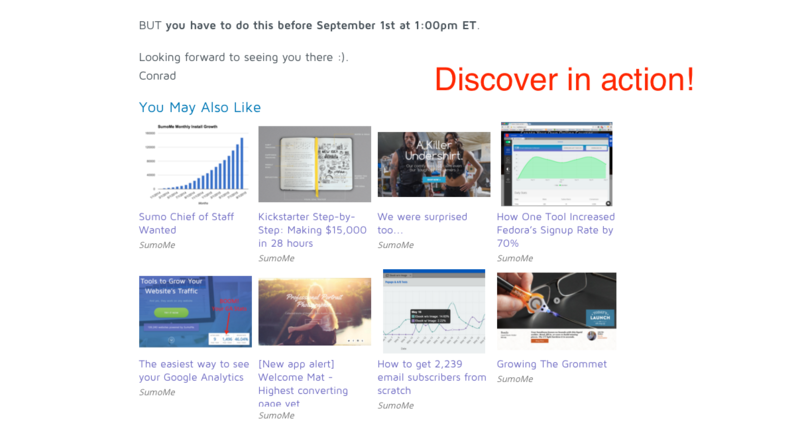 The Share function within SumoMe is designed to make it as easy as possible to get content seen and heard online. Offering connectivity with 16 different social applications, including Facebook, Twitter and Pinterest, Share enables easy implementation of social sharing buttons on a subscriber’s site and gives site visitors the option to easily share the content they find there. The Share dashboard allows subscribers to monitor share data, select which social applications are displayed and adjust the size, design and page position of share buttons. 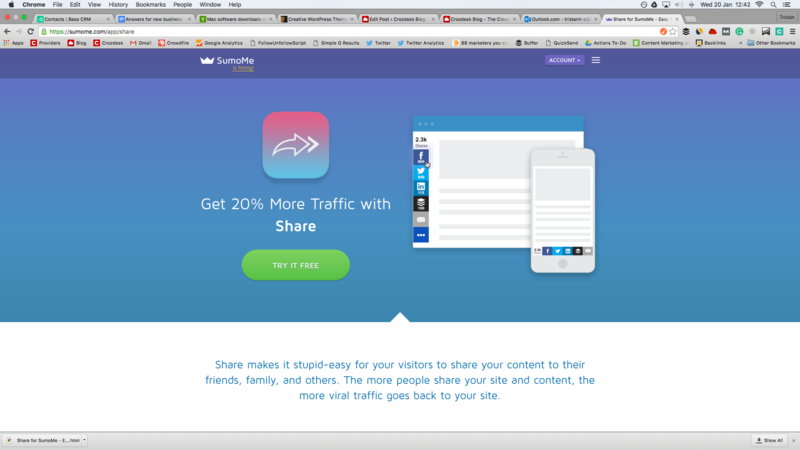 Professional subscribers can choose to display different sharing buttons to mobile and desktop users; download a history of their share data and implement UTM tracking, in order to show where share traffic originates. 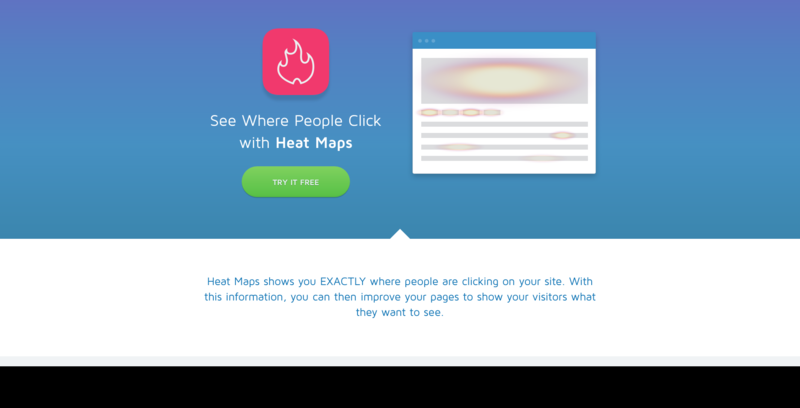 Useful for site development and the positioning of visitor engagement features such as call-to-action buttons, SumoMe’s Heatmaps feature allows site owners to keep track of user interaction hotspots – those parts of a site that visitors click on most. The function offers real-time data relating to an unlimited number of pages and can be custom-branded for professional use. 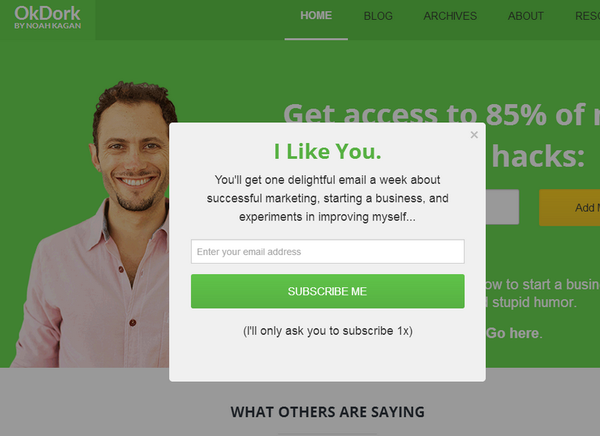 Designed to engage visitors by subscribing them to a mailing list, SumoMe’s List Builder feature detects the moment a web user is about to leave and serves them a customisable email address collection popup. 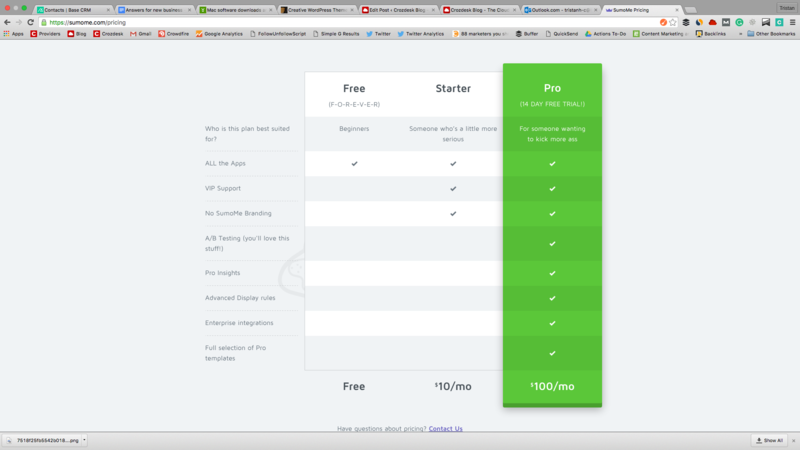 Professional subscribers benefit from A/B testing, non-branded and multiple-popup functionality, among other features. 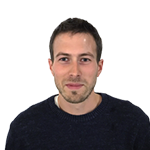 Unusually, List Builder is mobile optimised – ensuring data from mobile visitors can be also collected. 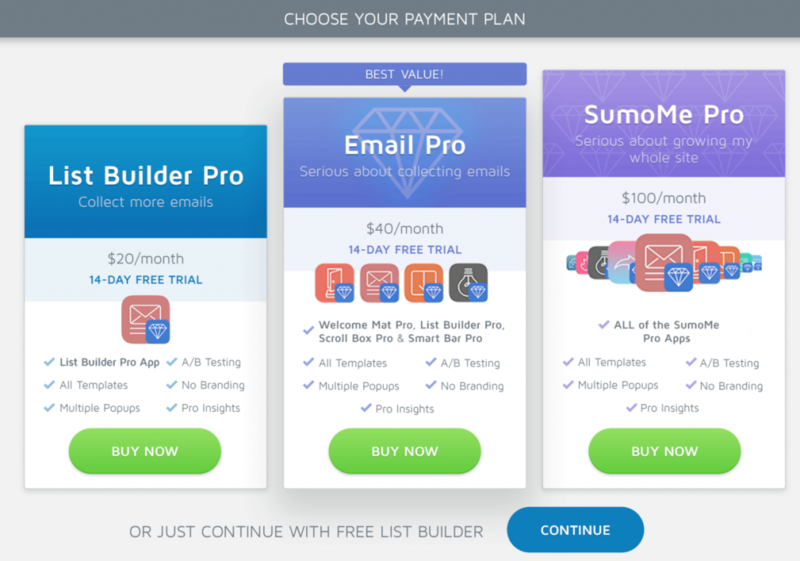 List Builder also integrates with a variety of email marketing apps, including MailChimp, Aweber and Get Response – allowing SumoMe subscribers to make the most of their newly collected email list. The latest app in SumoMe’s range, Discover connects subscribers with more than 150,000 sites with the aim of generating more traffic for those involved. The Discover feature works via mutual sharing of content on a credit based system. Links to external content can be placed on a subscriber’s page, generating credits for each view or click of this content. Similarly, subscribers can choose to spend their credits by having their content featured on associated sites. 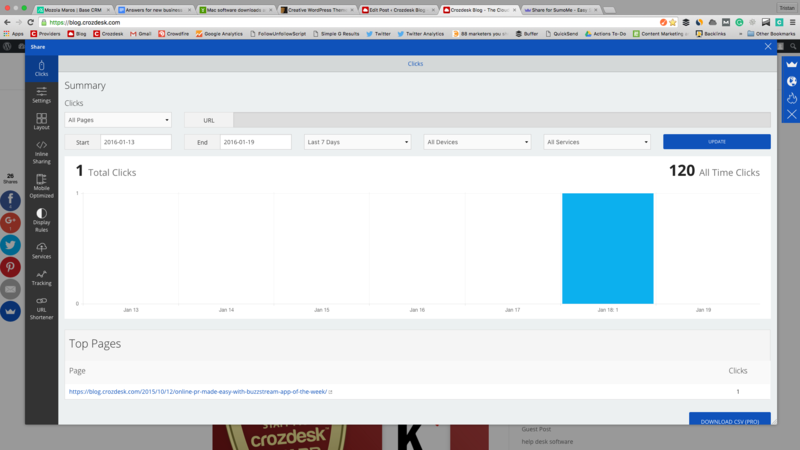 Content is displayed in grids – pop-up displays of content or scroll boxes – smaller scroll-enabled popups. Discover offers subscribers a dashboard, displaying incoming and outgoing traffic, while the design feature allows you to edit the look and feel of grids and scroll boxes. 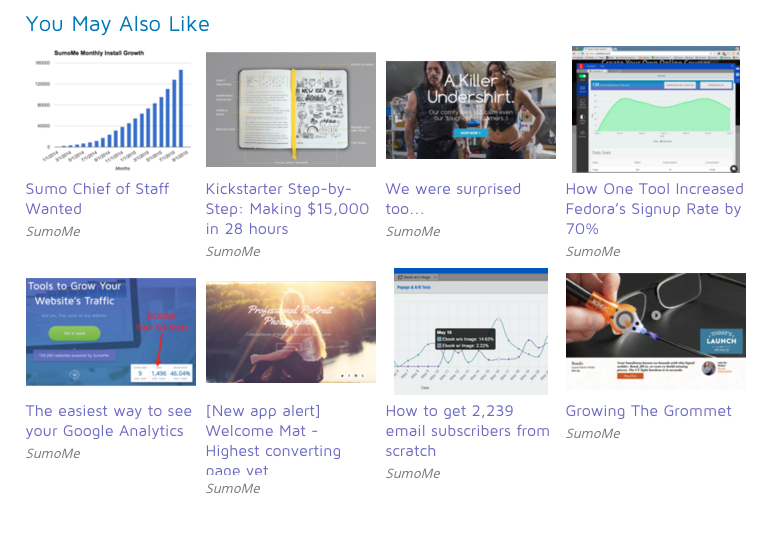 SumoMe’s complete toolbox is available free, albeit with limited functionality. 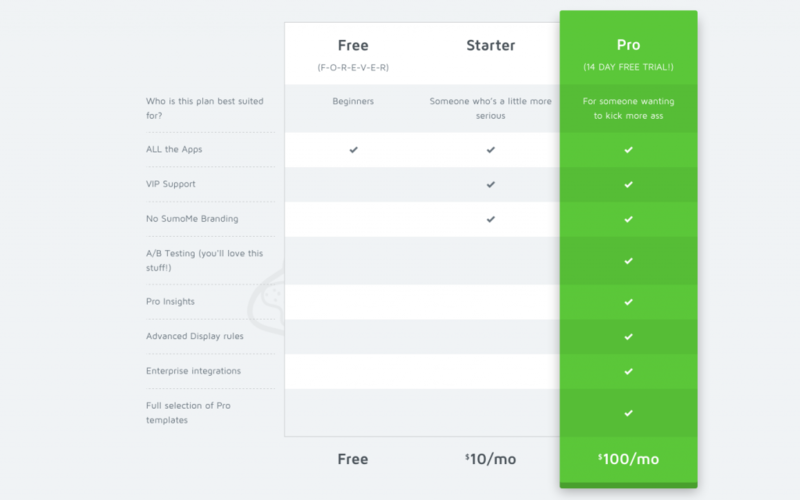 Professional subscription to individual elements of SumoMe, such as List Builder, can be purchased from the SumoMe store while bulk packages are also available, such as the Starter and Pro plans – more information can be found on the SumoMe pricing page. 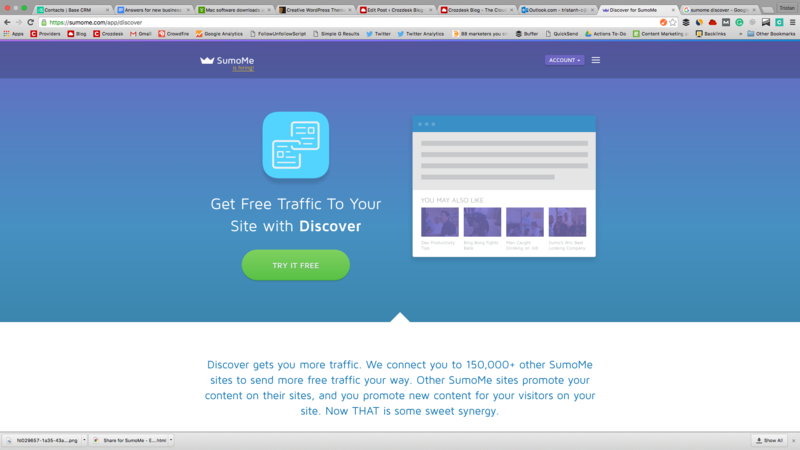 SumoMe allows subscribers to quickly and easily implement website features which could otherwise take some time to complete, particularly for those lacking in web development experience. 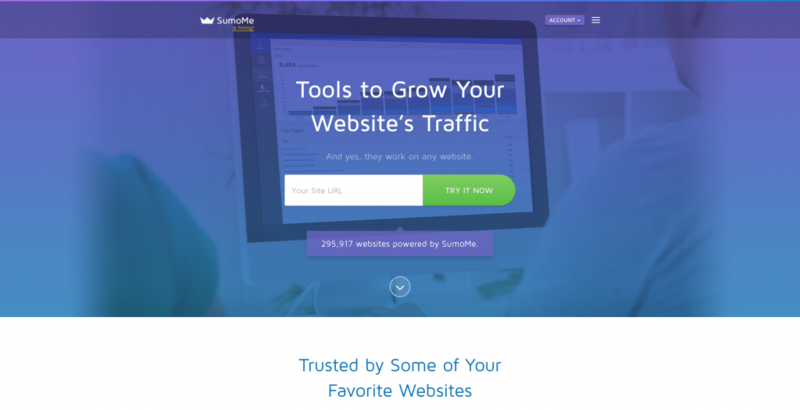 Simple-to-use and effective, SumoMe is a highly useful app for anyone looking to improve web traffic and optimise site performance. 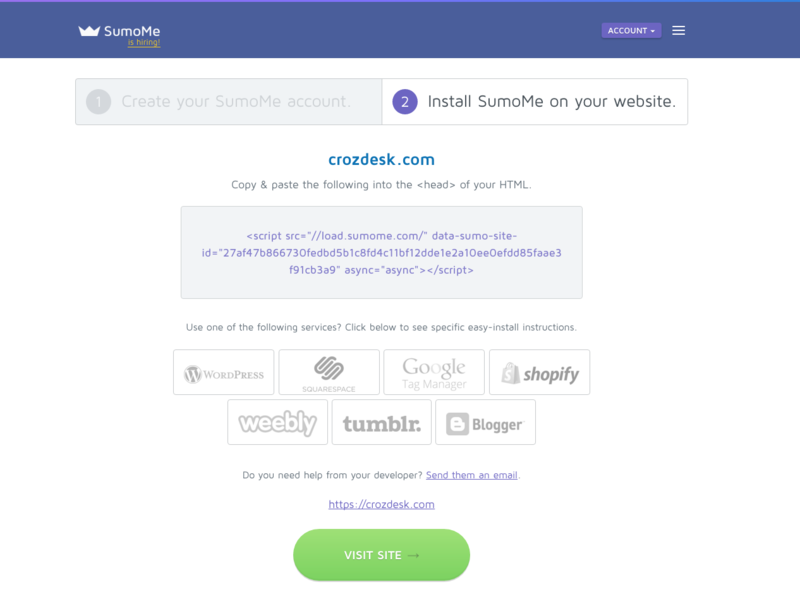 Find out more about SumoMe, visit the Crozdesk SumoMe provider page.